News | Philadelphia Lone Star F.C. Stars return for their seventh season in the NPSL with a 10-game regular season schedule in the Keystone Conference. Philadelphia Lone Star FC has been awarded a berth to compete in the 2019 Lamar Hunt U.S. Open Cup, U.S. Soccer announced today. Philadelphia Lone Star FC is proud to announce Toll Man Joe’s as the Official Restaurant Partner of the Philadelphia Lone Star FC Women’s Team. Philadelphia Lone Star FC Women held its first tryout ahead of its inaugural season in the WPSL on Sunday, December 23rd at the Suburban Sports Training Center. A first half extra time goal from Nyakeh Kamara was enough as the Stars defeated West Chester United 1-0 to win the 2018/19 EPSA Amateur Cup title. Former Philadelphia Lone Star FC defender Jospeh Aidoo has signed a two-year contract with FC Llapi of Kosovo’s IPKO Superleague. 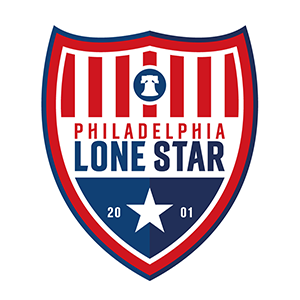 Founded in 2001, Philadelphia Lone Star FC is Philadelphia’s only minor league football club competing in the National Premier Soccer League (NPSL), the United Premier Soccer League (UPSL), and the Women’s Premier Soccer League (WPSL). © 2019 Philadelphia Lone Star Football Club Inc. All rights reserved.